It must be the Tokyo Tower. Its design is based on that of the Eiffel Tower. well as i say to play tr u gotta get the mindset of lara..and Lara is super observant.plus i cudnt stop looking at tht pic with Lara in the ripped dress. 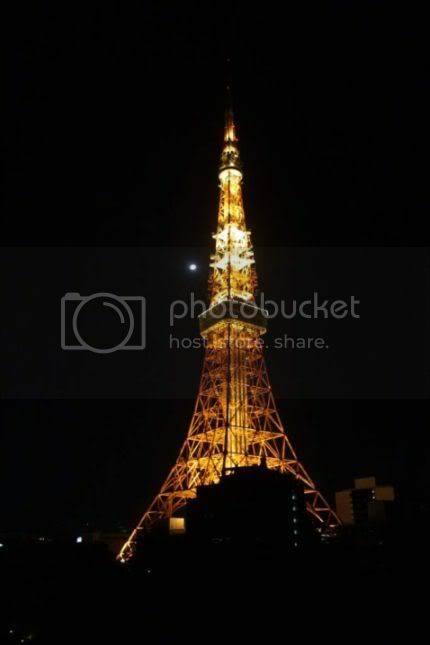 and if u noticed the tokyo tower is slightly illuminated.. It is Tokoyo Tower. Next time there should be a level that Lara scales the sides of the Effil Tower. (Offtopic: In Onimusha 3, you get to fight on the Effil Tower. Lara should climb the side of the Eiffel Tower then have a fight on each floor. In the lower floor, In the second floor restaurant and then at the top fight a boss!!! I found this out cause i saw this thread on another board. Yeah and they moved the Sydney Harbour Bridge to New York and called it HellsGate.